304 Commonwealth is located on the south side of Commonwealth, between Gloucester and Hereford, with 302 Commonwealth to the east and 306 Commonwealth to the west. 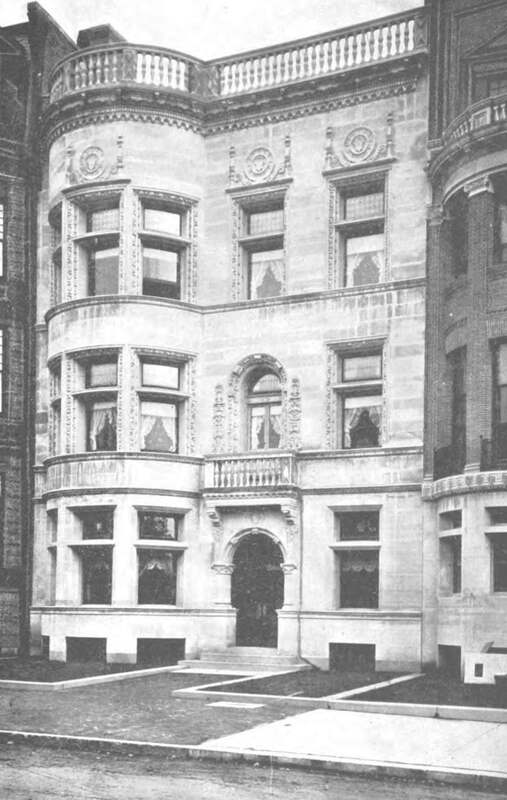 304 Commonwealth was designed by architect Julius A. Schweinfurth and built in 1895-1896 by McNeil Brothers, carpenters, as the home of Alice (Weld) Williams, the widow of Thomas Blake Williams, and their three children: Louise Harding Williams, Ralph Blake Williams, and Ruth Williams. The land for 304 Commonwealth was owned by Benjamin Cutler Clark, Jr., and Otis Everett Weld, guardians of Ruth Williams, who was still a minor. They are shown as the owners on the original building permit application, dated July 17, 1895, and on the final building inspection report, dated July 9, 1896. Blueprints for 304 Commonwealth – including the piling plan, floor plans, and framing plans — are bound with the final building inspection report in the collection of the Boston Public Library’s Arts Department (volume 77, page 55). Ruth Weld’s guardians purchased the land for 304 Commonwealth on May 11, 1895, one-half interest from David Locke Webster, a leather and morocco dealer, and one-half interest from a trust for the benefit of Mary (Moulton) Webster, the widow of John Gerrish Webster (David Locke Webster’s brother and business partner), and their children: Ella Elisabeth (Webster) Hill, the wife of Chicago attorney James M. Hill; Mary Alba Webster; Clara Eunice Webster; and Frances Maria Webster. The lot was the eastern 35 feet of a 54.62 foot lot that the Webster family had purchased on December 9, 1891, from David Greer. 306 Commonwealth would be built in 1896 on the remaining 19.62 feet as the home of Mary Alba Webster and her husband, Henry Hyde Dwight, who married in September of 1895. The 54.62 foot lot had been part of a tract of land originally purchased by Nathan Matthews on January 2, 1871, from David Sears, Jr., Frederick R. Sears, and Knyvet Sears. Click here for an index to the deeds for 304 Commonwealth. On December 28, 1891, soon after buying the lot at 304-306 Commonwealth, the Webster family had entered into an agreement with Samuel and Ann E. (Dutton) Mandell, owners of 302 Commonwealth, limiting the depth of any buildings built on the land at 304-306 Commonwealth. When the Websters sold the lot at 304 Commonwealth to the Ruth Williams’s guardians, they included restrictions in the deed for the benefit of their remaining land at 306 Commonwealth limiting the depth of any building built at 304 Commonwealth and restricting the location of windows overlooking each others’ premises. After the Williams family had prepared plans for their home, both the Mandells (on September 1, 1895) and the Webster family (on July 25, 1896) entered into agreements with them modifying the earlier restrictions to accommodate the design of the house that the Williams family was building on the lot at 304 Commonwealth. By the 1896-1897 winter season, Alice (Weld) Williams and her children had made 304 Commonwealth their home. They previously had lived at 48 Beacon. On April 30, 1897, Ruth Weld – no longer a minor – transferred a one-third interest to her sister, Louise, and a one-third interest to her brother, Ralph. Louise Williams died in August of 1902, devising her share of the property to her brother and sister. Ruth Williams married in February of 1904 to Dr. George Gray Sears, a physician. Prior to their marriage, he had lived at 19 Marlborough. 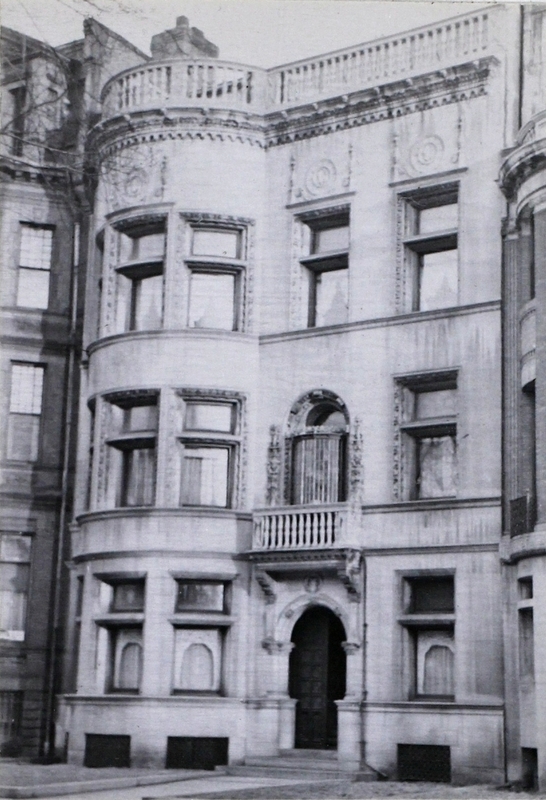 Soon after their marriage, Alice (Weld) Williams, Ralph Blake Williams, and George and Ruth Sears moved to 462 Beacon. On September 26, 1904, 304 Commonwealth was purchased from Ruth (Williams) Sears and Ralph B. Williams by shoe manufacturer Lewis Abbott Crossett. He and his wife, Sarah F. (Dow) Crossett, made it their home. Their daughter, Ruth Lewis Crossett lived with them. They previously had lived in North Abington. They also maintained a home in Cohasset. Ruth Crossett married in October of 1908 to T. Russell Appleton, also a shoe manufacturer, and they moved to 31 Hereford. He died in August of 1912, and by the 1913-1914 winter season Ruth (Crossett) Appleton was living with her parents at 304 Commonwealth. She remarried in October of 1916 to Austin Staats Kibbee, a career naval officer who retired in 1919 to join Lewis Crossett’s shoe manufacturing company. 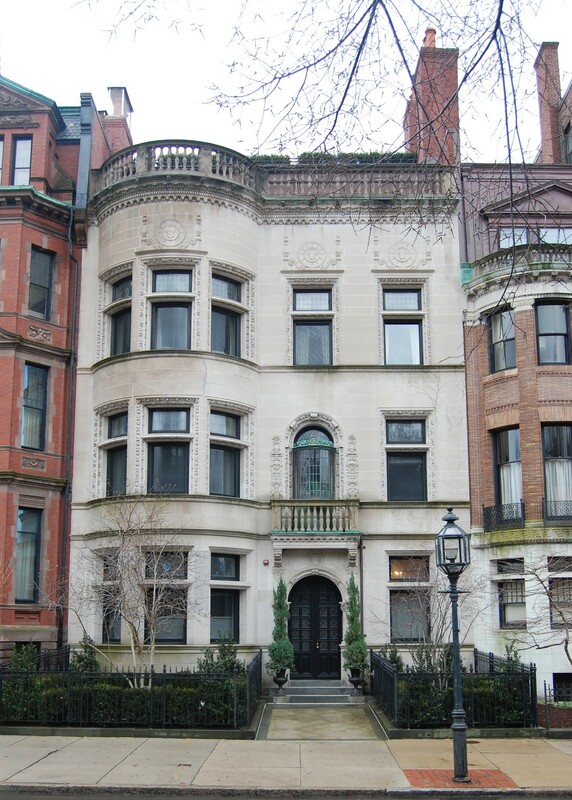 After their marriage, they lived in Brookline and, during the 1920-1921 winter season, at 441 Beacon. On April 19, 1927, Lewis Crossett sold 304 Commonwealth to Frederick Russell Sawyer and his wife, Hazel (McClary) Sawyer. Lewis Crossett died one week later. Sarah Crossett moved to an apartment at 282 Berkeley. Frederick and Hazel Sawyer made 304 Commonwealth their home. He was a haberdasher. They previously had lived at 306 Marlborough. They also maintained a home in Swampscott. Frederick Sawyer died in November of 1933. Hazel Sawyer continued to live at 304 Commonwealth during the 1934-1935 winter season, but moved thereafter to Brookline. The house was not listed in the 1936 and 1937 Blue Books, and was shown as vacant in the 1935-1937 City Directories. In September of 1937, Hazel Sawyer filed for (and subsequently received) permission to convert the property from a single-family dwelling into a lodging house. On December 13, 1946, 304 Commonwealth was acquired from Hazel Sawyer by real estate dealer Thomas J. Diab, and on the same day he transferred the property to himself, Abraham J. Harris, Harold Karp, and Robert Noonan, as trustees of the General Realty Trust. It continued to be a lodging house. On April 12, 1951, 304 Commonwealth was acquired from the General Realty Trust by Mrs. Josephine (Cuoco) D’Amore, former wife of Santo D’Amore. She lived at 509 Beacon and operated 304 Commonwealth as a lodging house. It was managed by her son-in-law and daughter, Sidney Paul Dobrov and Mary J. (D’Amore) Dobrov, who had moved there after their marriage in 1949. He was a grocer. In the early 1960s, the Dobrovs were joined at 304 Commonwealth by Mary Dobrov’s sister, Jean D’Amore, who previously had lived at 509 Beacon with their mother. Mary Dobrov and Jean D’Amore operated the Mar-Jean Sportswear company together. 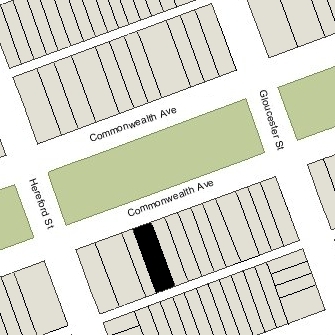 Jean D’Amore continued to live at 304 Commonwealth until her marriage in 1965 to George Bongaards, after which they lived in Dorchester and then at 291 Commonwealth. On February 22, 1965, apartments on the second and third floors of 304 Commonwealth were damaged by fire. In April of 1965, Josephine D’Amore filed for (and subsequently received) permission to convert the property from a lodging house into twelve apartments, and in November of 1968, she applied for (and subsequently received) permission to add a one-story addition to the existing rear ell. On May 17, 1978, Josephine D’Amore transferred the property to herself as trustee of the 304 Commonwealth Avenue Trust. Josephine D’Amore died in July of 1979 and Mary Dobrov became successor trustee and beneficiary of the 304 Commonwealth Avenue Trust. On April 3, 2007, 304 Commonwealth was purchased from Mary Dobrov by the 304 Commonwealth Avenue LLC (managed by the 304 Commonwealth Avenue Corp. Jeffrey A. Leerink, president). In June of 2007, it applied for (and subsequently received) permission to convert the property from twelve apartments into three apartments, and on November 13, 2009, it converted the property into three condominium units, The Clark Weld House Condominium.